Welcome to Small Success Thursday, hosted by CatholicMom.com! Head over there to see more link-ups. I’m typing this on the phone while my husband is driving us through Indiana. We’re headed to South Dakota, and (God willing) the Black Hills. We’re picking up his mom and stopping on the way to see his grandma. So here go my quickie successes! 1. We left the house before 6:00!! (Who knew there were still 2 of those?) Our kids were so excited to go, they were up BEFORE US! Our 15 year old was in the shower before 5, which proves that teens are willing to be up early if they’re excited enough about the day. 2. When I got dressed, I pulled out those jeans I managed to wear a couple weeks ago. Last time, they were fresh out of the dryer and I had to do the Blue Jeans Dance to get them on. This week…not so much. I just pulled them on!! If it wasn’t 5:30 am, I probably would have done a happy dance. 3. I finished Couch to 5K! Guys, three months ago I couldn’t walk around my block at a steady pace. (Granted, it IS 1.5 miles around my block, but still…) Now I walk halfway up our hill (.5 mile hill! ), then run the rest of that, then keep on going! I RUN FOR 30:00! It’s like I’m a different person. I’m so proud of me. There will be a part 2 to this post next week, and I’ll try to have pictures. OH! And a part 3 next week, too! 4. I did a Small Success post! I haven’t blogged much for the last 2 weeks, so I’m glad to add something. Have a safe and wonderful trip! 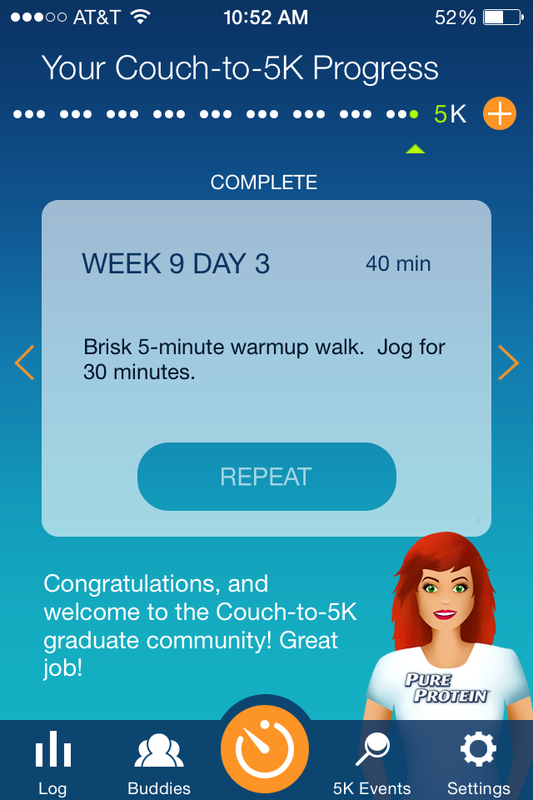 I am thrilled for you that you’ve done so well with Couch to 5K. Thanks! Sorry I haven’t gone to read anyone else’s posts. Trying not to ignore pope Nathan. Not a problem! You need to keep that driver awake! It’s your sworn duty! OOH! I just promoted him!! *POOR* Nathan. I’m pretty sure he isn’t pope right now. I just wanted you to know that you have inspired me to get my behind off the couch. I took a walk last night just because of you! Thanks. I felt great just getting out of the house and moving. Why don’t I do this every day???? Yay, you!!!! I’m proud of you!